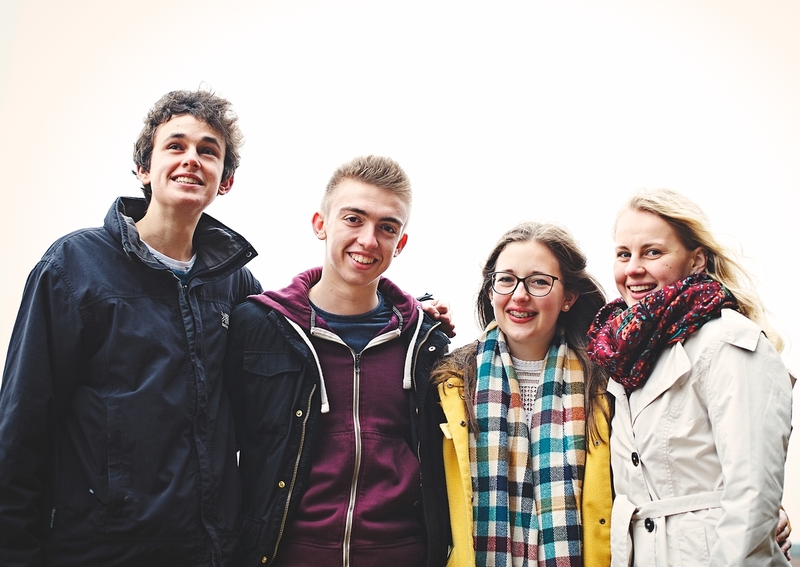 Teens are living amid a rapidly changing culture. Some teens easily adapt while others struggle to figure out how their beliefs fit within the current culture. Everywhere they turn, their beliefs about what’s right and wrong are being challenged. The freedom to speak out applies only to those who believe what our “tolerant” society considers acceptable—and what is acceptable changes frequently. Teaching your child to hold on to their core convictions without becoming a target takes wisdom. But no matter how powerful cultural influence seems, you can teach your kid that they don’t have to conform to cultural standards that aren’t rooted in a biblical worldview. Helping your teen navigate such cultural changes is a worthy investment of your time. 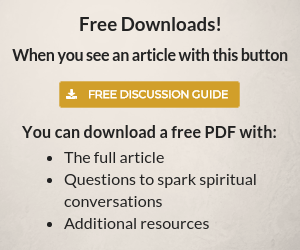 Give freedom to ask or disagree. Talk about guarding their heart. Show them why they need to be diligent. Talk about forming a biblical strategy to answer others’ questions. Talk about the need for a support system. Talk about your family values. Remind them whose they are: They belong to God first and your family second. Paint a visual picture of living a life pleasing to the Lord. Teens must be equipped to stand up for what they believe. Their confidence to do so emerges from knowing the truth. Once they understand the truth, they can defend their position in a healthy and wise way. God does not want us to hide or be afraid to speak up, but if we learn to show love to those with whom we don’t agree, we leave the door open for future conversation. Most teens who came to our home over the years wanted to know how to discuss cultural issues in a way that wasn’t confrontational. They asked deep questions about what others believed and why it mattered. This generation is eager to make a difference. They want to be taught and come to their own conclusions. If you aren’t willing to teach them, then someone else will. Please let it be you! It’s hard when a child chooses to behave in reckless or destructive ways, but when you feel personally responsible, it’s even harder. For many years, I took most of my teens’ poor decisions personally. If only I had done this or said that or explained a little more, then they would have made better choices! They wouldn’t have been in that place at that time! They wouldn’t have sought out that negative influence for a friend! I know many of you struggle with these thoughts as well. It’s normal to feel this way. Or you might be on the front end of your parenting-a-teen journey. You’ve watched what others have done, and you’re determined to get it right. You aren’t going to neglect your responsibilities or set a poor example. You’re going to be committed to your faith and feel confident that your teen will escape the common pitfalls of growing up. But whether you’ve been faithful to your parenting vision or are determined to tackle sensitive topics head-on, you must cling to this truth: Your child’s decisions are their decisions. All of my kids were taught the same values, and each of them had to make and then take responsibility for their decisions. As parents, we can do everything we know to do to help our teen navigate this season well and still have to walk through some significant challenges. The reality is that we are all broken. No matter our parenting choices, some kids don’t follow what they’ve been taught. They want to do life their way, on their terms. Ask the Lord to search your heart as you examine your parenting practices. Allow him to reveal areas where you can change your parenting. Remember, you are learning to parent the child God gave you. Parenting—even Christian parenting—is not easy. We are not guaranteed our child will do everything right. A child who participates in risky or promiscuous behavior reminds us of our need for the Lord. Don’t forget that many well-respected parents have had wayward children. Holding on to guilt or shame only keeps you from loving your son or daughter unconditionally. I know how hard it is to let go of mistakes. But to be the parent, you must. It is always too soon to quit. Your struggling teen needs unconditional love now more than ever. It can be challenging to know when to pull back and when to pursue. Don’t let your hurt or heartbreak trap you from moving the relationship forward. Separate what your teen does from who they are. These are different things. Who we are at the core is not always reflective of what we do. You aren’t in control. That position belongs to the Lord. He alone knows the heart and mind of your child. He has a plan for that precious life. He will use every mishap and mistake. You don’t know the end of the story. This is only a chapter in their life. Chances are, your teen will look back on this season and tell your grandkids about how you helped them get through a difficult time. Download the above list of “7 Words of Encouragement for When Your Teen Makes a Poor Decision”. The best decision you can make when your child gets derailed is to help them learn to own their decisions. Learning to accept poor choices and turn themselves around is a skill they will use throughout their life. If your daughter admits to cutting or having an eating disorder, she will be more receptive to hearing the counsel of others. If your son confesses to lying about his online activity, he is more willing to agree with the screen-access restrictions you place on him. As my husband, Tom, says, “Put the ball in their court.” Allow your teen the dignity of taking responsibility for and dealing with their own problems. Click To Tweet Be willing to help them, realizing you will have to bear more of the burden until they get stronger. You will have to judge when to step in and seek outside help. You may have to assess their capacity to deal with the situation they’re in. If your teen is unwilling to listen to you, refuses to obey your instructions, or starts to blame you for their poor choices, you might have a long road to recovery and restoration. Don’t lose hope. God isn’t finished with your teen, or you. As long as you continue to show them love despite what they do, rebuilding the relationship bridge is possible. As you face the fallout of your child’s decisions, be aware of the impact on your marriage. You and your spouse might not agree on how to address the issues before you. It’s not easy when two parents disagree on how to handle their child, but be honest with each other about how your child’s predicament is affecting you, your spouse, and your child’s siblings. As parents support each other, the kids gain a broader perspective on how to respond in the family context. For example, the dad needs to establish what is unacceptable behavior toward his wife. This one small act on Tom’s part changed how my teenage boys spoke to me. Suddenly I wasn’t just their mother—I was their dad’s wife. The best gift you can give your child is to maintain a healthy marriage. Build safeguards to ensure your relationship will be intact once they leave home. Walking through teen struggles is infinitely harder without a support system. Sometimes it becomes necessary to seek help outside your family. Don’t be afraid to approach trusted friends for prayer support, empathy, guidance, or help. And, depending on the severity of the situation, your family might benefit from counseling. During this time, pray. Pray that your responses will be life-giving. Pray for your teen’s heart to be bent toward the Lord and you. Guard against resentment toward your child for their actions. And don’t give up on the vision of having a strong, healthy relationship with your teen. Making mistakes and breaking the rules is normal behavior. I would love to tell you otherwise, but it’s what teens do. Whether they obey everything we say or not isn’t the point. Our response is. Our job is to set expectations and rules and administer consequences when they don’t meet those expectations or follow the rules. Our role is to advise and guide them. When they make crash landings, our kids need to know one thing above all else: that we still love them. We might feel responsible or angry or resentful or hurt, but we need to take those struggles to the Lord. When we run to the one who made our child, then we are free to love them the way God loves us. Consider these words of Paul: “I am sure of this, that he who began a good work in you will bring it to completion at the day of Jesus Christ” (Philippians 1:6). And Philippians 4:6 reminds us that “in everything by prayer and supplication with thanksgiving let your requests be made known to God.” Our kids will make mistakes; we will make mistakes. When mistakes and mishaps happen, we can trust that God will use them for good. We all have hopes and expectations about what our children will become. But we often confuse our role by believing we should plan their lives instead of simply dreaming with them about what they will do. The real goal should be to equip them to be the person God created them to be and prepare them for adult life. They will feel competent in this when they have skills and talents developed through trying and failing, trying again—and succeeding. When you talk about sensitive topics, stress the importance of integrity. Teach your child a simple concept they can hold on to when faced with difficult decisions: Don’t do anything today that you will have to lie about tomorrow. The decisions your teen makes every day shapes and defines their integrity. Reminding them of this fact may make you unpopular for the moment. However, you aren’t raising a teen for the moment; you are investing in their future. You are the most influential person in your teen’s life. Take advantage of that role! Keep your relationship healthy and the lines of communication open so they feel comfortable coming to you with sensitive topics. It is worth the investment of time and energy. 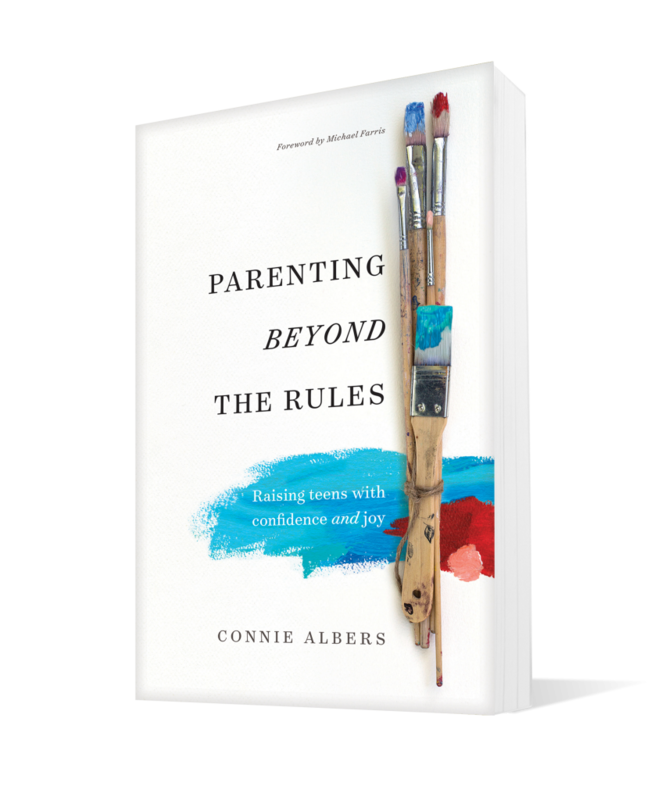 You just read an excerpt from Chapter 9 in Parenting Beyond the Rules: Raising Teens with Confidence and Joy by Connie Albers. Copyright © 2019. Used by permission of NavPress. All rights reserved. Represented by Tyndale House Publishers, Inc. For more information and to read the first chapter, go to http://bit.ly/2DQ9sT7.